The Enchanted Face Oil by Max and Me is a delicately scented face oil that indulges your thirsty complexion with feelings of loving care, soothing nourishment, and regeneration. This rare blend heightens your senses with oils that make skin feel nourished and pampered, particularly suited to give mature, sensitive and irritated skin a feeling of repair. Infused with argan, marula, wild rose, pomegranate and evening primrose oils are united with the treasured scents of jasmine, ylang-ylang, champaca, frangipani, wild mountain lavender and rose. You'll love the way this makes your skin feel deeply cared for and indulged. Warm a few drops of the scented essential oil blend in the palms of your hands and inhale deeply, connecting with the special energy. Then put the palms of your hands on your right and left cheek and let the wonderful sensations of “enchanted” flow onto your face. Pat an extra drop gently around your eye and mouth area for softening the appearance of those lines. Simply the best facial oil I have ever used and I have tried a LOT of different facial oils. My skin just loves soaking this up. Irritations gone and leaves a nice glow. Ingredients are impeccable. Smell is divine. What more can you want? I have a number of face oils and have tried even more, but this is my favorite. The scent is truly enchanting and it leaves my skin baby soft, never greasy or slick. 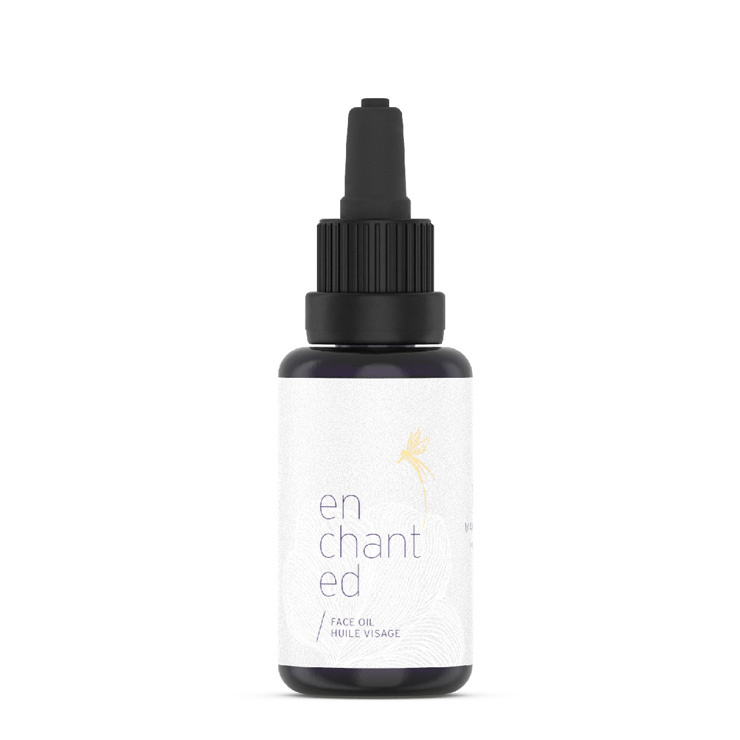 The May beauty heroes box came with a tiny vial of this Max and Me Enchanted Face Oil. I LOVE oils so I am very happy to be able to try this. I've used it 3 straight nights and I am loving it. It's a bit pricey at $102 for 1 ounce (after the 15% subscriber discount) so I need to decide whether I will be getting the full size bottle or not. I was introduced to Max and Me by Beauty Heroes and their beautiful Instagram posts with the products. My curiosity about high vibrational skincare is what led me to purchase the Enchanted face oil and I couldn't be happier! The oil is very smooth and silky and smells wonderful. I recommend following the instructions from Max and Me and creating a ritual which begins with inhaling the beautiful aroma of this oil and then pressing to your cheeks. I've been using the oil day and night for about a week now and my skins looks great– clear, calm, healthy and illuminated. I can't wait to try other products from the line as I'm sure they will be just as enchanting and effective!